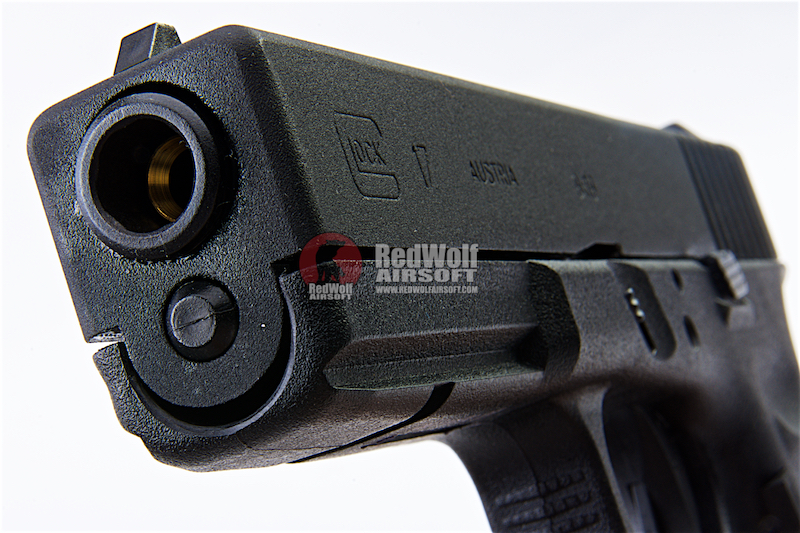 The Glock pistol is one of the most widely used and easily recognized pistol. This particular one is patterned after their Gen 3 model. 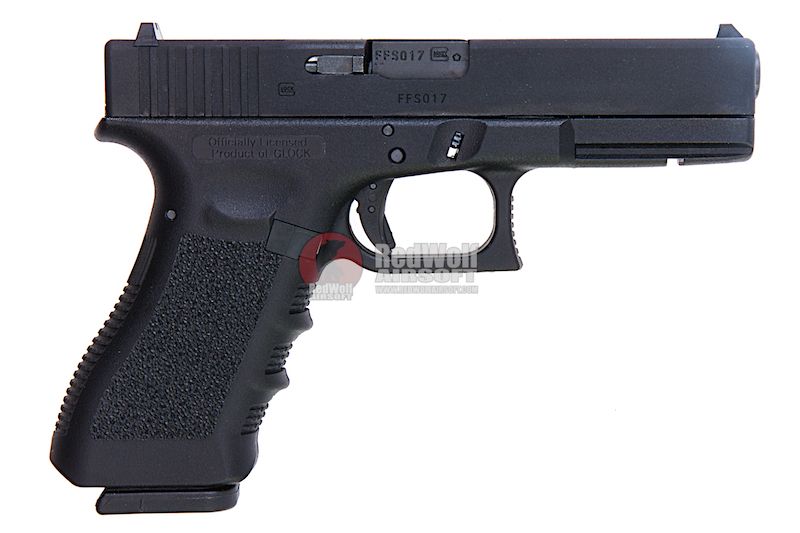 In 1998, the pistol frame was further modified (from the previous generations) with an accessory rail (called the "Universal Glock rail") to allow the mounting of laser sights, tactical lights, and other accessories. 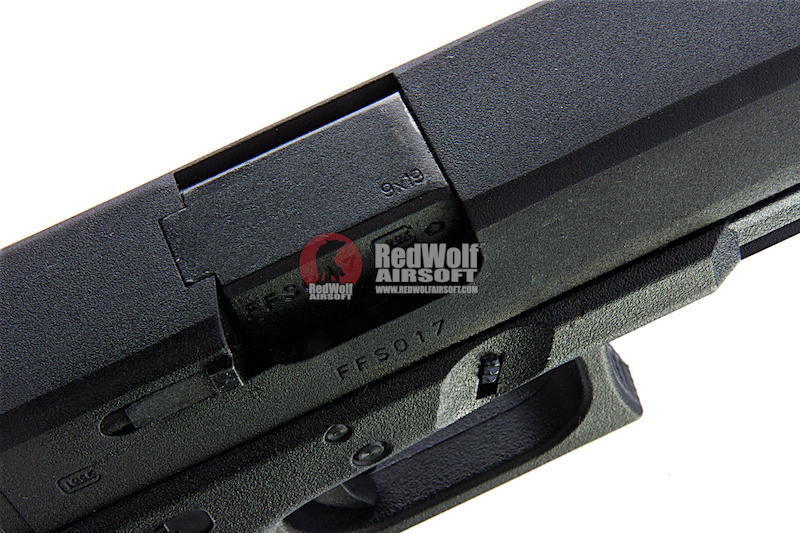 Thumb rests on both sides of the frame and finger grooves on the front strap were added. 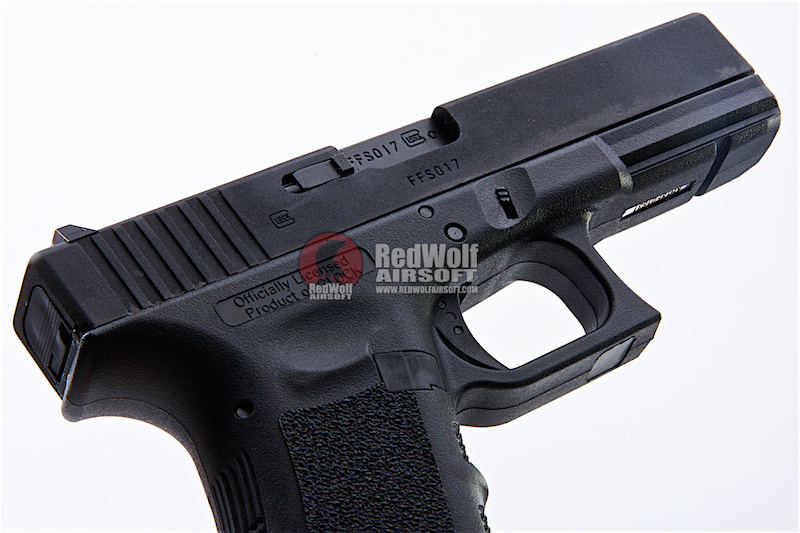 Glock pistols with these upgrades are informally referred to as (early) "third-generation" models. 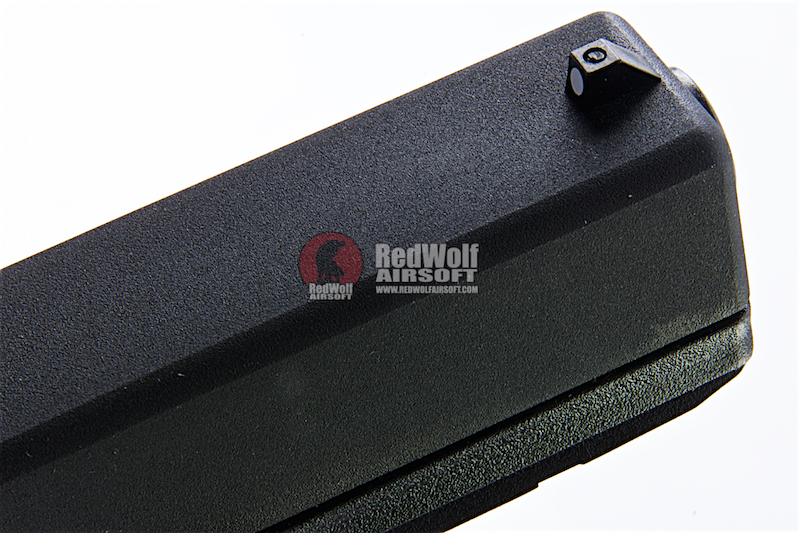 Later third-generation models additionally featured a modified extractor that serves as a loaded chamber indicator, and the locking block was enlarged, along with the addition of an extra cross pin to aid the distribution of bolt thrust forces exerted by the locking block. 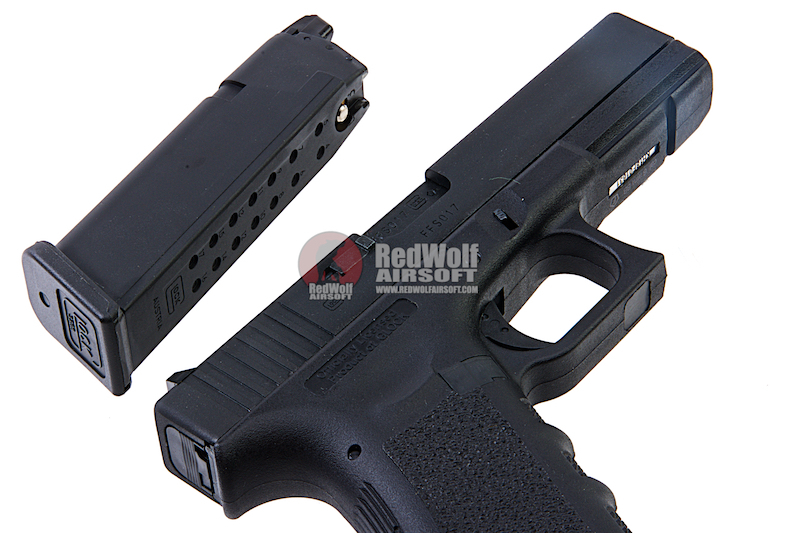 This cross pin is known as the locking block pin and is located above the trigger pin. 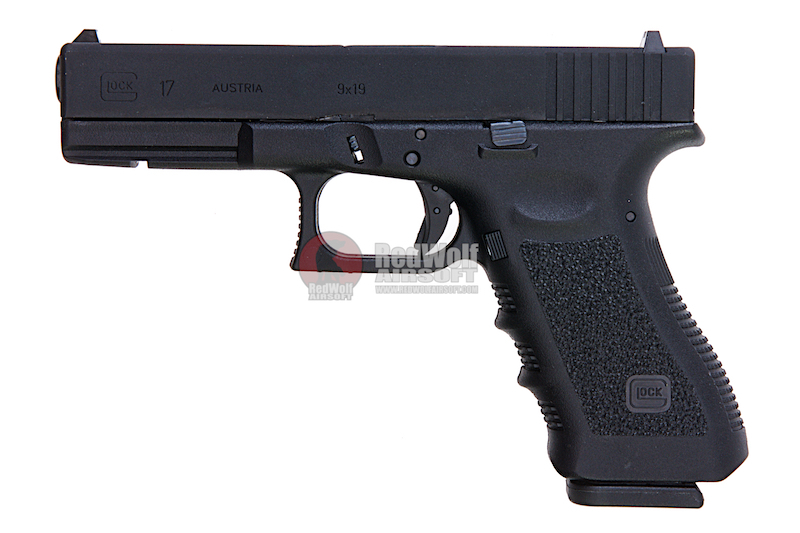 x1 Umarex Glock 17 Gen 3 GBB Pistol.